Written by WPA on April 16, 2019 . Posted in Blog, Burn, Downtown Norfolk, Educational, Event, Exhibit, Glass, Hampton Roads, Model, Norfolk, Public Art, Structures, Virginia Burners, WPA, WPA Gallery, WPA Studio. Thank you to all of the artists and guest for a fantastic opening of TRANSFORMATION. The exhibition will be on display until May 24th at the WPA Gallery. The gallery is located in the historic Monticello Arcade at 208 E Plume Street, Norfolk, VA. Written by WPA on April 12, 2019 . Posted in Burn, Downtown Norfolk, Event, Exhibit, Hampton Roads, Norfolk, Public Art, Structures, Uncategorized, Virginia Burners, WPA, WPA Gallery, WPA Studio. 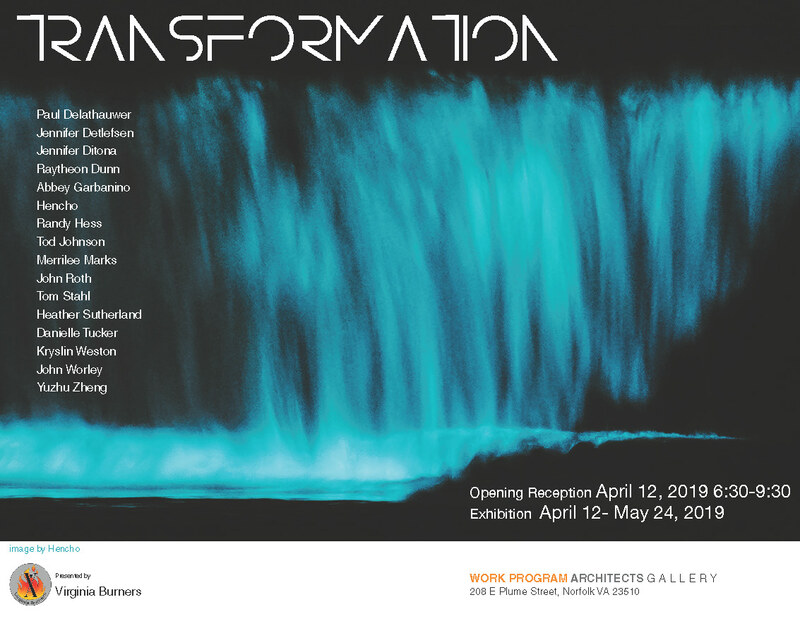 Tidewater Burners, the local Burning Man Regional Community, in partnership with WPA Gallery presents Transformation, an exhibition in celebration of change. As the Virginia Burner group experiences its own form of growth and transformation, we want to recognize the transformation happening in the lives of those around us and in the communities to which we belong. 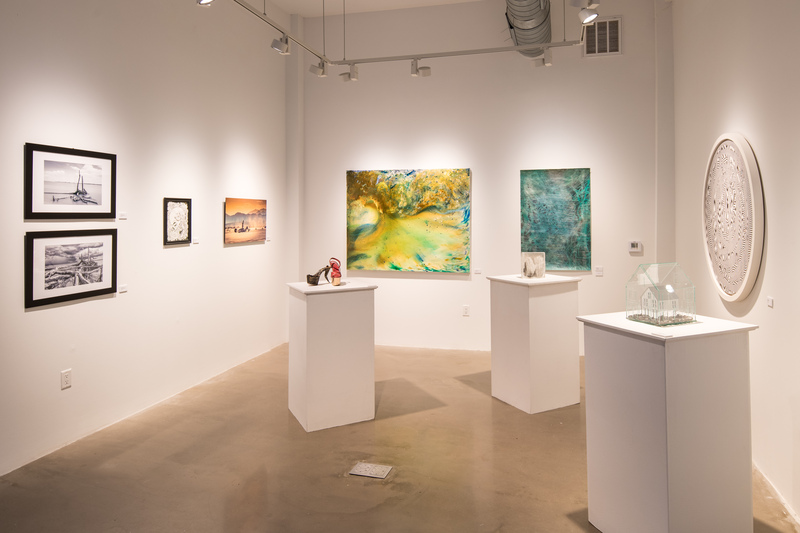 Transformation is a juried group exhibition featuring artists from across the country that explore a wide range of topics related to change, with each artist contributing independent and unique ideas based on personal experience. The artworks included in the show address physical and emotional change, as it relates to the life cycle including the undeniable impact of birth and death. They address changes in our environment, both through perception and reality. They capture society’s impact on personal growth and the effect of technology on human development. All of the works on view originate from a personal perspective yet are relatable on a much larger scale. 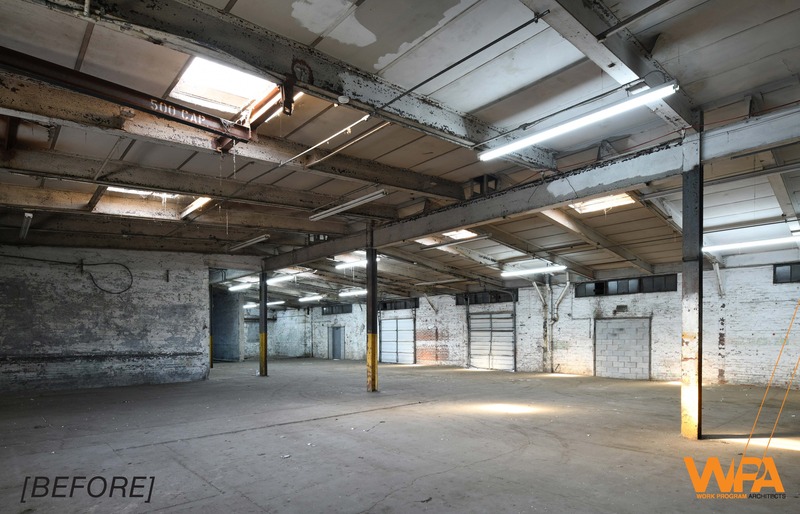 They convey an understanding and acceptance that transformation is unavoidable. 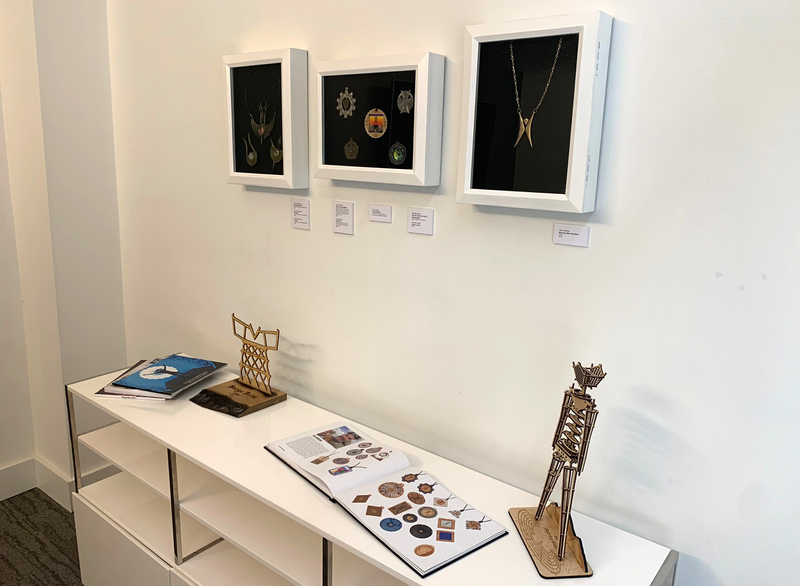 Exhibited together here, they have the potential to raise awareness and help us better understand ourselves, our relationship with others, and our relationship with our environment. Written by WPA on March 4, 2019 . 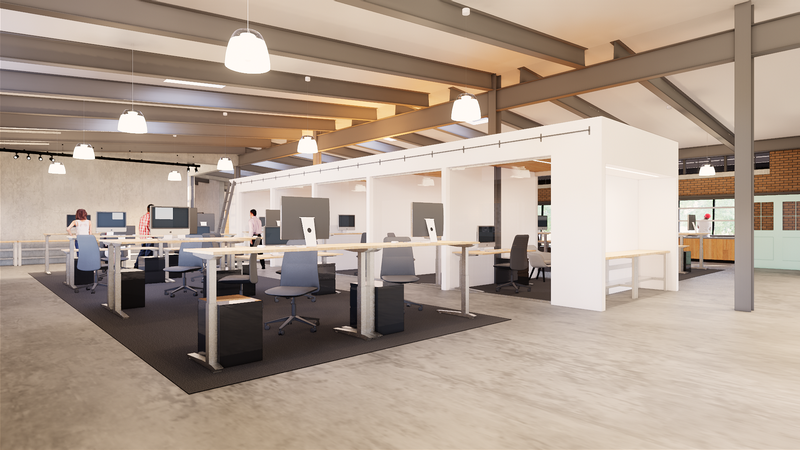 Posted in Blog, Commercial, Norfolk, Rendering, Structures, Tenant Buildout, Uncategorized. IPConfigure, Inc. is a video surveillance and research and development software company based out of Norfolk, VA. 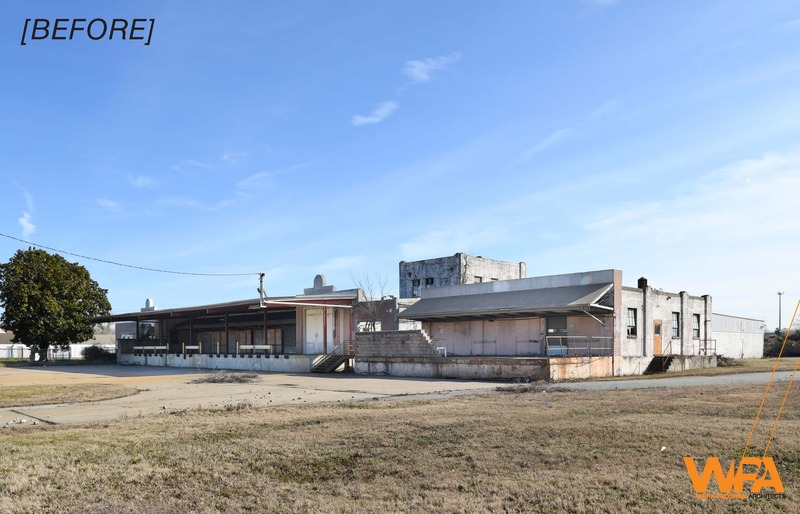 When they came to us with the idea of restoring the old Dubin Metals Building on Bowdens Ferry Road we jumped at the opportunity. 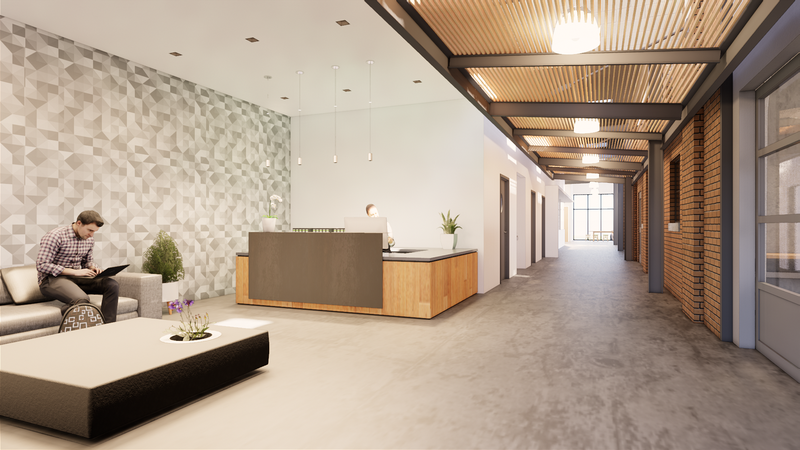 Here are a few images of the existing conditions and proposed future renovations. 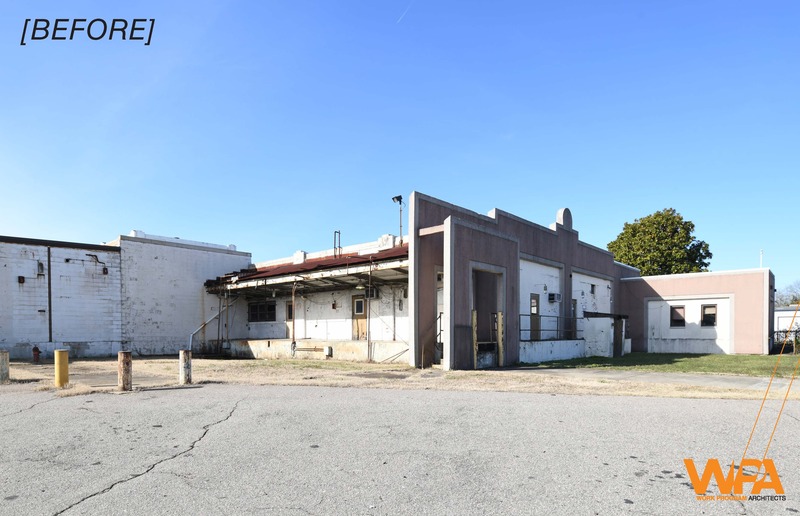 This is a historic tax credit project with the original building constructed around 1938 for acetylene gas manufacturing for World War Two! 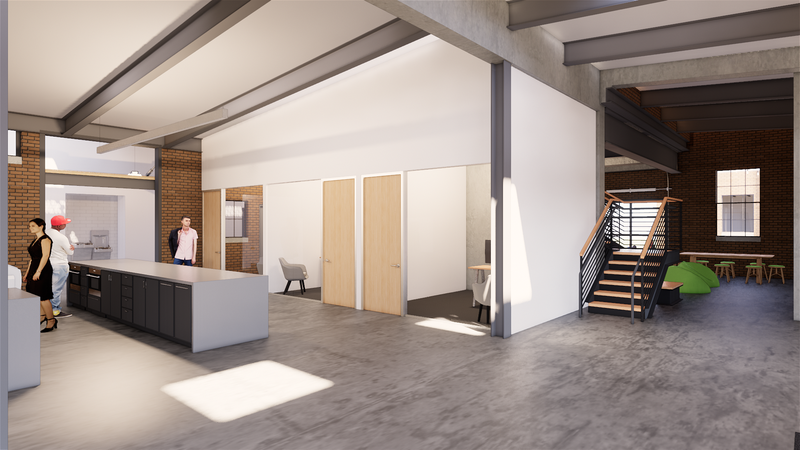 The subsequent additions yield a total building footprint of over 28,000 SF. Written by WPA on February 4, 2019 . Posted in Blog, Burn, Event, Exhibit, Monticello Arcade, Norfolk, Public Art, Structures, Uncategorized, Virginia Burners, WPA Gallery. 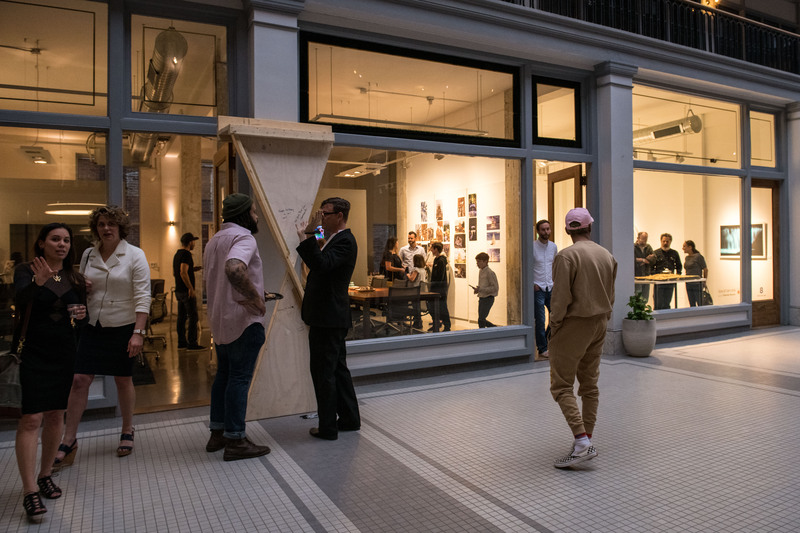 titled Transformation, April 12 – May 24, 2019. Written by WPA on December 19, 2018 . Posted in Blog, Civic, Event, Hampton Roads, Public Art, Structures, Uncategorized, Urban Design, Virginia Beach. 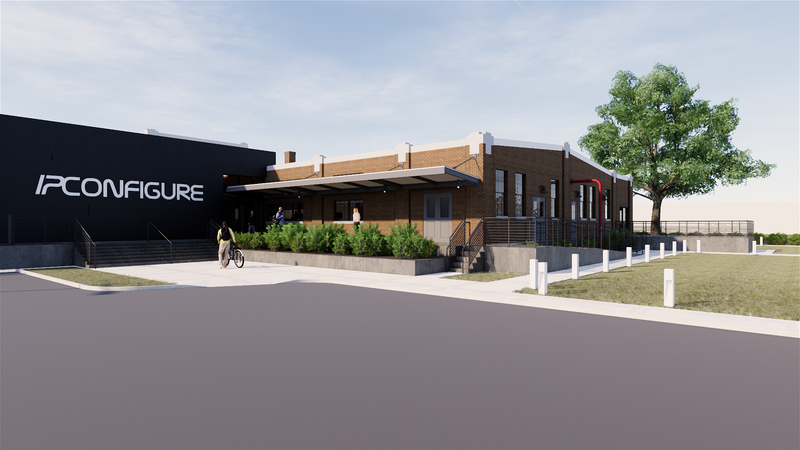 Big Ugly Brewing to open August 4th! Written by WPA on July 10, 2018 . 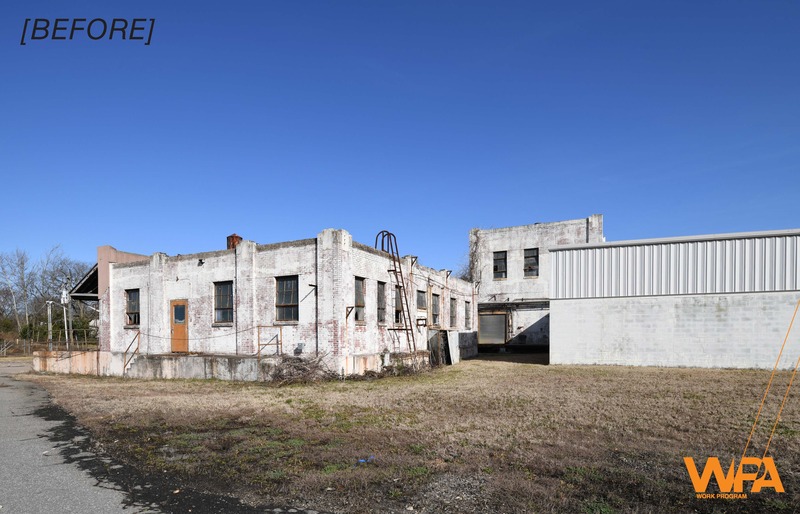 Posted in Blog, Brewery, Chesapeake, Commercial, Hampton Roads, New Construction, Structures. 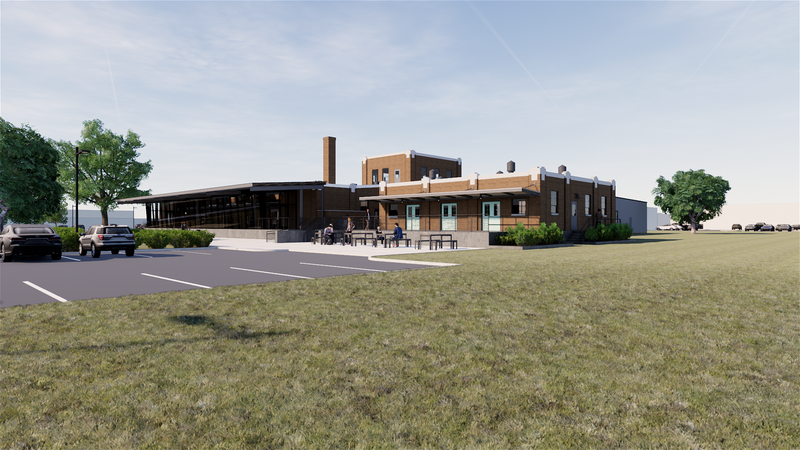 WPA and Altruistic Design collaborated on the expansion of Chesapeake’s only brewery. 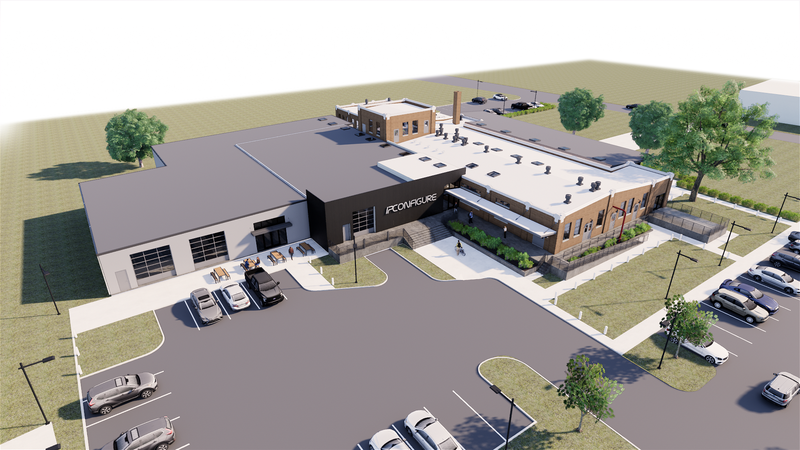 Congratulations to Big Ugly Brewing and to our partners at Blueridge General and Lynch Mykins. Written by WPA on June 25, 2018 . 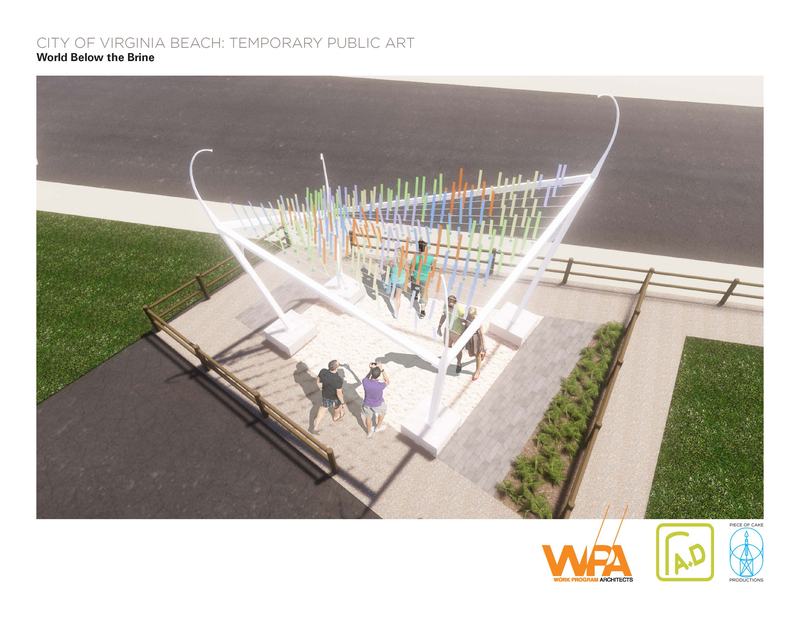 Posted in Public Art, Rendering, Structures, Virginia Beach. 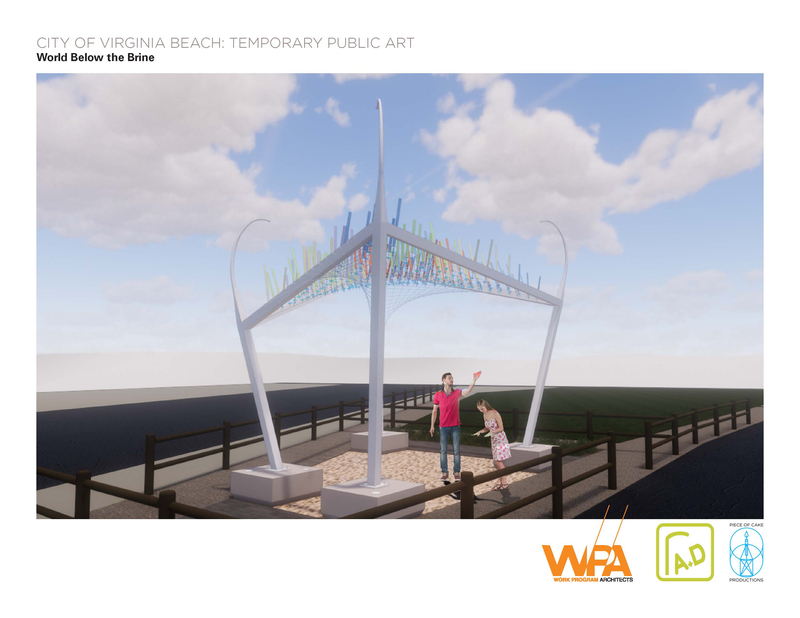 We’re very excited to announce that WPA, in association with Rhiza A+D and Piece of Cake Productions, has been selected by the City of Virginia Beach – Office of Cultural Affairs to design, fabricate, and install a piece of interactive temporary public art at Rudee Inlet Loop. Drawing inspiration from the vivid Walt Whitman poem of the same name, “World Below the Brine” will simulate the ever-changing shore, above and below the water’s surface by creating an canopy that both captures the wind and translates the sun into a “play of light through the water.” The piece consists of a tall steel framework anchored by four concrete benches and supporting a torqued stainless steel wire grid on which 200 painted metal paddles with cast glass counterweights will pivot in wave-like motion as breezes pass through. During the day, visitors will walk below the piece and be covered in moving diffused light and shadow. 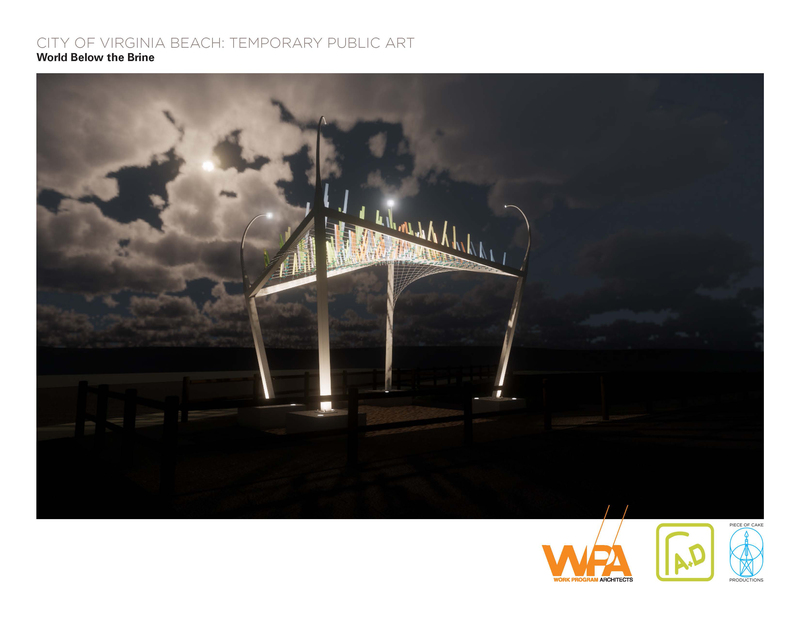 At night it will be illuminated with LED lighting that will respond to the movements of visitors, creating the visual of a floating anemone visible to passers-by from Atlantic Avenue and the nearby Rudee Inlet Bridge. 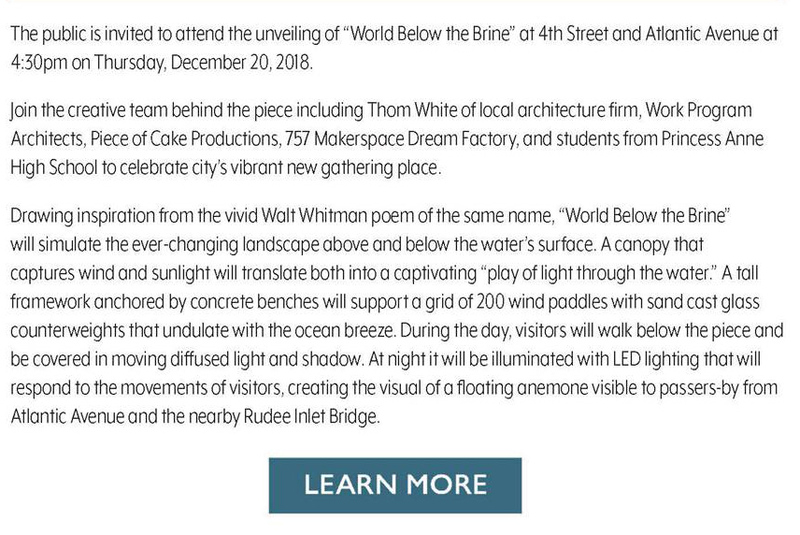 “World Below the Brine” will debut this September and remain through the Spring of 2020. 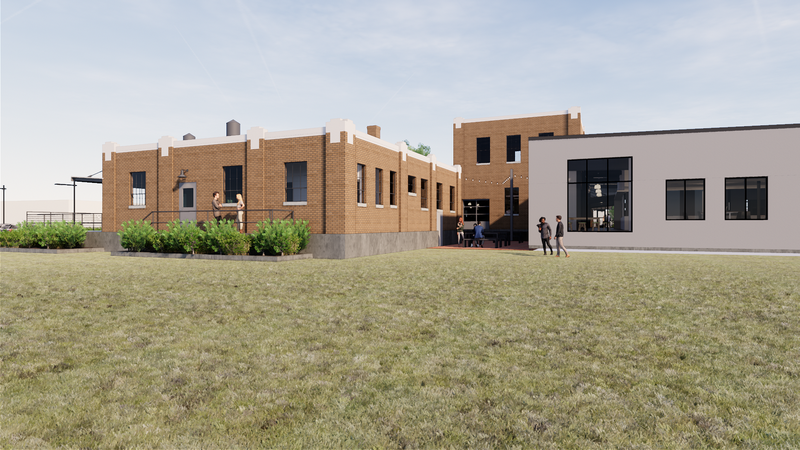 We are also excited to share that AP Art students from Virginia Beach City Public Schools will be lending a hand with fabrication and installation right at the beginning of their first semester, and that Lynch Mykins will be our structural engineering partner. 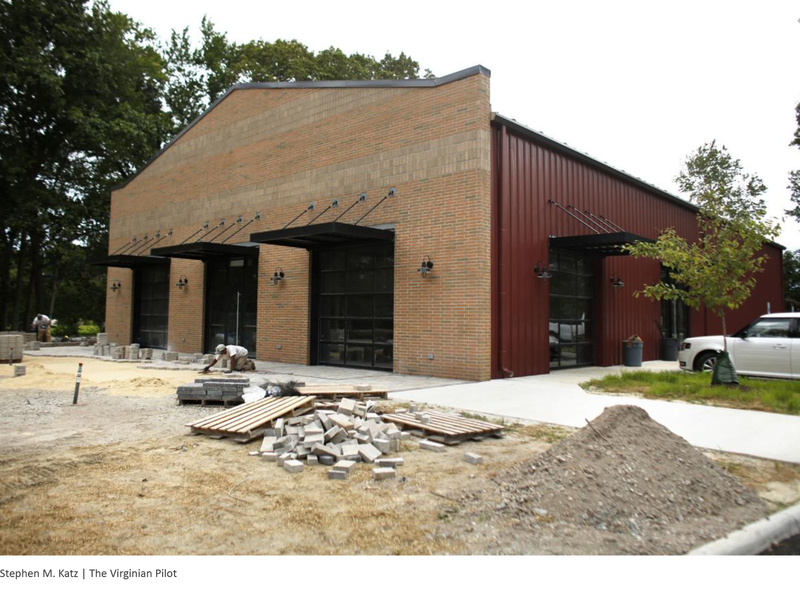 Stay tuned here and on our Instagram @wpa_norfolk for updates on our progress. Written by WPA on October 13, 2017 . Posted in Blog, Burn, Event, Norfolk, Public Art, Structures, Uncategorized. BE HERE WHEN THE FIRE RISES! Tickets will be sold at the gate the day of the event for $75. Written by WPA on April 5, 2017 . Posted in Downtown Norfolk, NEON, Norfolk, Rendering, Selden Arcade, Structures. Written by WPA on September 4, 2015 . Posted in Education, New Construction, Norfolk, NSU, NSU Brown Hall, Structures. 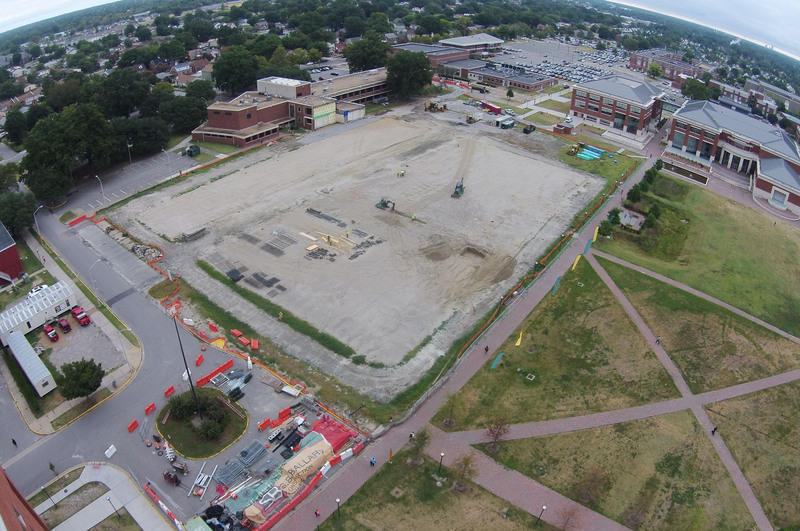 The first concrete pour for the foundation starts Sunday!